One of my favorite things in my closet as of late are these high-waited flare jeans. I've been on such a 'skinny jeans' kick for the past couple of years, that I've forgotten how much I love the look of a flare. I especially love that they're high-waisted and can easily have a blouse or sweater tucked into them. Rather than spending the time + money to have mine altered, I literally just cut them off at the bottom and left them unfinished. I kind of love the raw hem, distressed look. Either way, these jeans are definitely a closet staple! 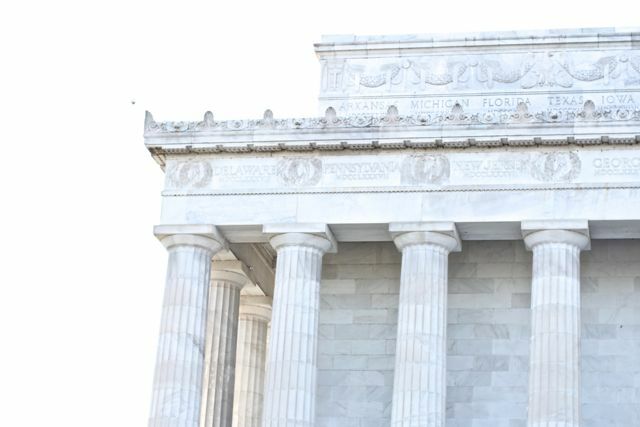 I wore this look to Lincoln Memorial Sunday afternoon for a little exploring before heading to dinner at POV on top of the W Hotel. If you follow me on snapchat and instagram, you may have seen our view from the rooftop. It was one of my favorite parts of the trip! Just seeing the sunset behind the White House was magical. We loved the food + drinks, too - the atmosphere is great! If you're in the DC area, you have to go there! 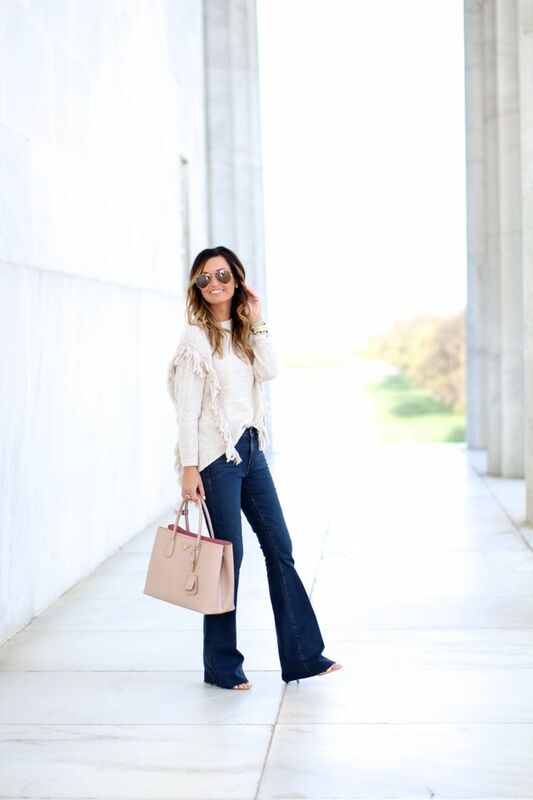 My two favorite trends…flare and fringe. Great look! 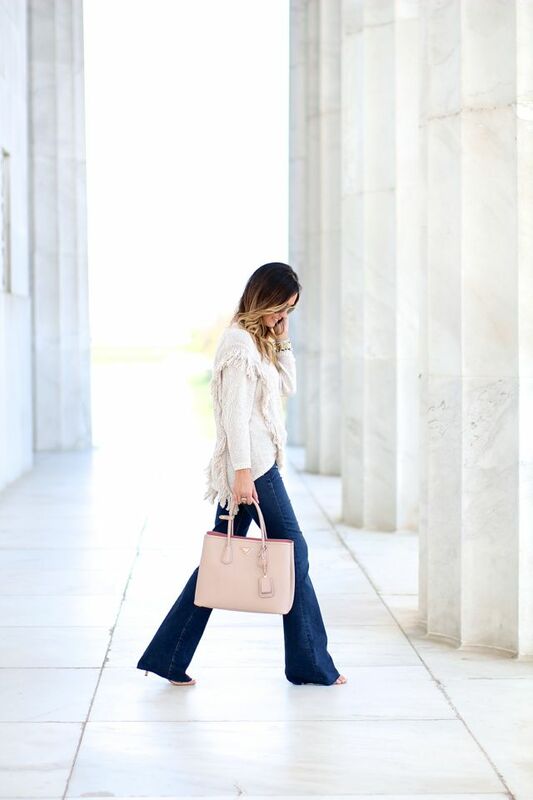 you're rocking the flare jeans! 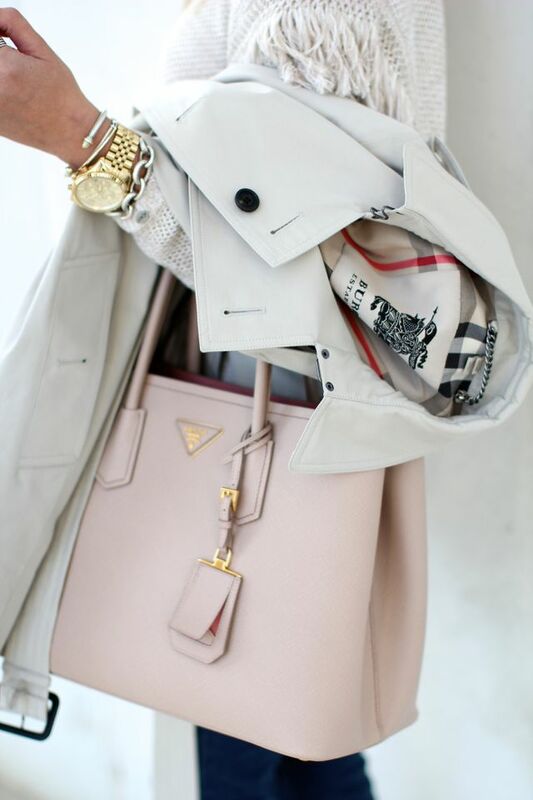 and i love the dusty rose tote! Loving this look! Beautiful sweater! I might be obsessed with this look. It's so polished! You look amazing! I love these flared jeans, so flattering! 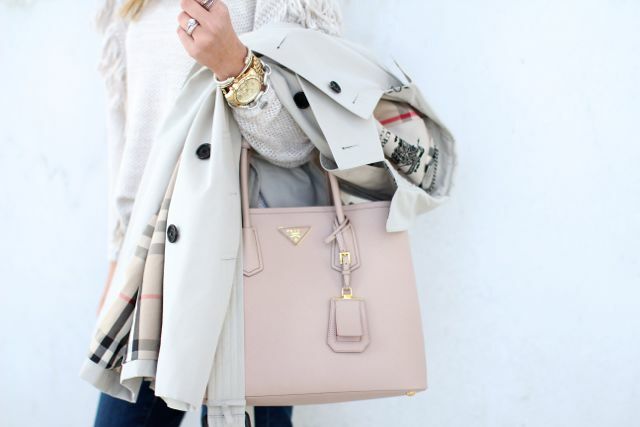 No one does neutrals better than you! Seriously. This top is absolutely amazing! I love how you styled it with flare jeans.